Design basics to get you started. Great art sells and sets your business apart. By providing your customers eye catching designs for their custom garment needs, you’ll impact your business’ bottom line. You can hire a freelance designer or bring it in-house without hiring a full art department. 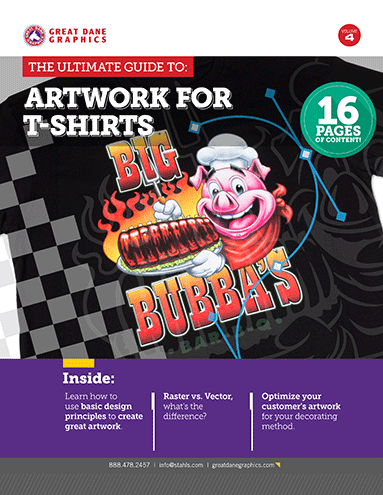 This guide will help the non-artist understand what goes into creating artwork for T-shirts, from basic design principles to ways to find and customize art without being an artist. How to use basic design principles to create great artwork. The difference between Raster vs. Vector artwork. Which file type is right for your job. Use stock art in your work, legally.